As CEO'S and aspiring business owners, we tend to get a little busy. That is why apps are so important to use. Apps can post, filter, organize, and help brand your business. Let’s talk about Facebook. Facebook is one of the top well-known apps/platform to reach viewers. If you do not have the time to post, let the app post for you while you work on other business ideas. Let’s take a look at how to do just that. 2. Find the box where you normally type in your daily statuses. 3. Type message and click the calendar icon at the bottom. 4. Select the month, day, year, time and click post! 5. You have just scheduled your first post. Stay connected with your viewers throughout the day even if you are in a meeting, on vacation, or spending time with your family. Never again, miss an opportunity to post consistently when you have an app/platform that can do it for you. Always remember, great opportunities unfold with consistency! Another very powerful social platform that provides many opportunities for myself, as well as many other brand influencers would be Instagram. So, posting regularly is very important in order to stay relevant. UNUM is app that is great to plan your post, but also create a cohesive look that will be aesthetically pleasing to your audience on Instagram. This is a free app, but if you post tons of pictures on Instagram, they offer several subscriptions according to amount of content you post. 1. 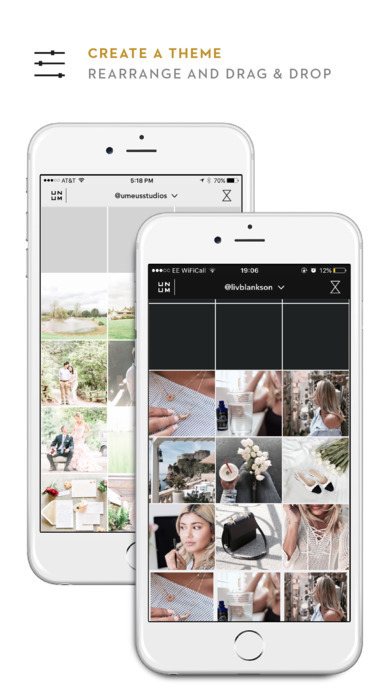 Once you sign into your Instagram within the app, you can begin to upload the pictures using the + symbol in the white menu bar, you can drag and drop until you get the grid you want for your account. 2. It also gives you the opportunity to check your analytics, which tells you the best times to post to get the most feedback from your followers. 3. NOW, you can schedule your content! Click on the hour glass in the upper right hand corner (which you will see on the FIRST IMAGE, in these list of steps) and it will take you to this image. Then select CUSTOM POST feature that allows you to schedule individually post. 4. Lastly, just like Instagram allows you to be logged into several accounts at the same to, so does UNUM! I can tell you that from my own personal experience! I have been building a social media presence for quite some time now, and with a lot of consistency and dedication to my brand; I was able to get it to ONE MILLION VIEWS! HOW EXCITING IS THAT? !